In 2017 housing rose to the top of the British political agenda for the first time in a generation. But despite the media spotlight, few stories examined the catastrophic long-term failures that resulted in a chronic shortage of social housing in the United Kingdom. 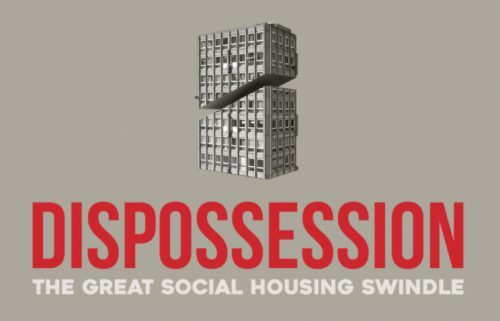 Dispossession: The Great Social Housing Swindle explores the agenda behind the neglect, demolition and regeneration of council estates in the UK over the past thirty years. The film reveals how individuals and communities are fighting against the state and private developers, as they try to save their homes from demolition, while investigating the decisions that turned a crisis into a tragedy. Screened in partnership with StopHDV, who are campaigning against the privatisation and demolition of £2 billion of social housing in Haringey, and Haringey Unite Community. There will be a Q&A with members of the campaign and other housing groups after the screening.